What’s it take to be a zookeeper? An inside view on the best job in the world | Dallas ZooHoo! Being a zookeeper at the Dallas Zoo is a dream career for many, but it’s more involved than you may think. To give you the inside scoop, we’ve debunked eight myths about zookeepers. Myth No. 1: They don’t need higher education. Truth: Actually, zookeepers at AZA-accredited institutions need a college degree, extensive internships and volunteer hours. 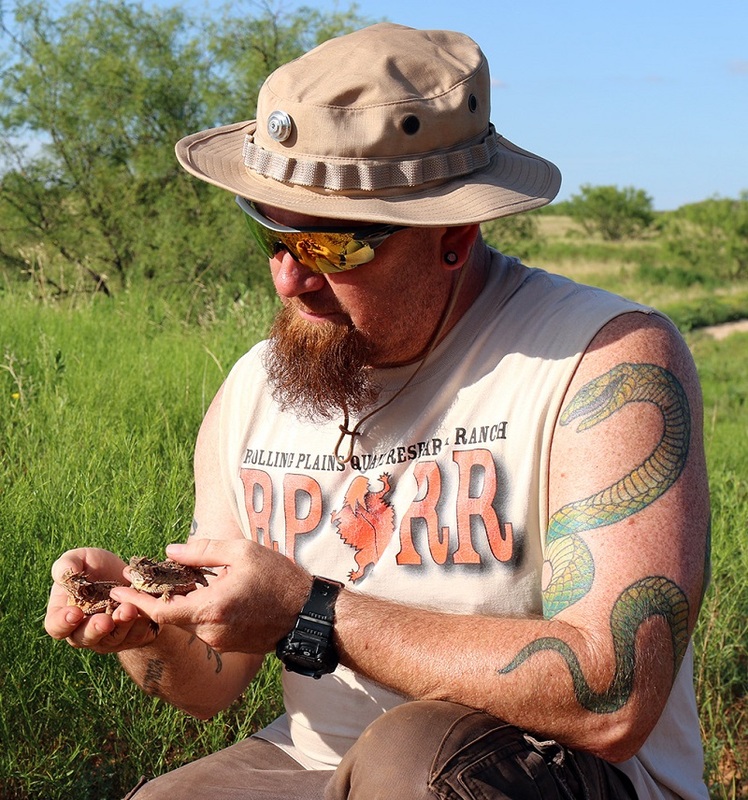 The most common bachelor’s degrees are in Biology or Zoology, but comes paired with specialization in specific animals, conservation research, and tons of hands-on time that isn’t usually paid. Some zookeepers go on to earn their masters and doctorate degrees, too. Myth No. 2: It’s easy to snag a job as a zookeeper. Truth: Nope. Zookeeper jobs are highly competitive because, let’s face it, it’s a dream job. You definitely need a degree. And even if you’re well-educated, you certainly need a ton of experience – think volunteer and intern hours. You need to be prepared, passionate, and willing to work long hours. Most zoos offer internship and volunteer opportunities because it’s the best way to give students a stepping stone to securing a zookeeper job later on. You’ll need a night job, too, because many of these internships are unpaid. Myth No. 3: Zookeepers are only responsible for the immediate care of their animals. 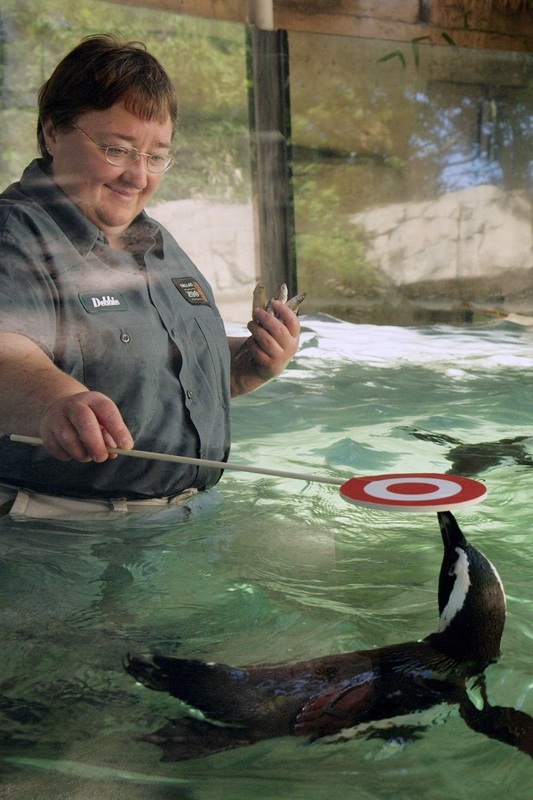 Truth: Zookeepers do much more than swoon over their cute critters. They must keep up with the latest information on conservation, training techniques, behavioral studies, education and more. And they definitely have to track what’s going on with animal populations in the wild. 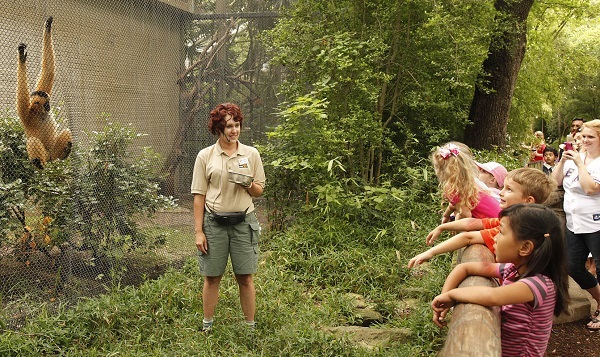 Zookeepers often talk to guests about animals, teaching the public about them. Add all of that to feeding, cleaning, and training, and it’s quite a lot to keep up with. Being a zookeeper is like having 10 different jobs in one, and every day is uniquely different. Myth No. 4: Zookeepers don’t help animals in the wild. 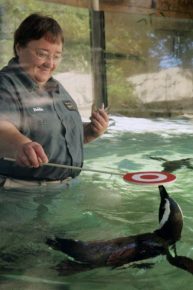 Truth: Zookeepers and accredited zoos have some of the best resources to help wild populations. We like to call our animals at the Zoo “ambassadors” for their species. When we educate guests and get them excited about the animals they see at the Dallas Zoo, they often choose to take action on behalf of wildlife and wild places. In fact, a portion of every Dallas Zoo ticket you purchase goes directly to our Wild Earth Conservation Fund, helping troubled animals in the wild. Myth No. 5: Zookeepers don’t scoop poop. Truth: Zookeepers are the caretakers for their animals. Just like you have to pick up your dog’s poop when you go on a walk, zookeepers clean up after their animals, keeping their habitats clean. This kind of job isn’t for people who are afraid to get dirty. But we promise zookeeping entails a lot more than just scooping poop. It’s one of the most rewarding careers there is. Myth No. 6: Zookeepers can take vacation whenever they want. Truth: Most zoo residents need care every single day. That means Thanksgiving, Christmas, when it’s 3 degrees and snowing, and when it’s 112 degrees under a blazing Texas sun. Of course, there’s never only one keeper per animal or group of animals, so schedules are organized accordingly, but holidays are definitely tricky at the zoo. When you’re just beginning your career as a zookeeper, you can expect to be scheduled on unusual days to step in for more experienced keepers who’ve earned their Christmas day off at home. Myth No. 7: The breeding process is left up to veterinarians and the animals themselves. Truth: Zookeepers play a large role in the breeding process of their animals. A great deal has to do with carefully monitoring the behavior of each animal and tracking their responses toward each other, to make sure they’re even interested in breeding. Additionally, zookeepers must keep up with introductions between animals, and follow the Zoo’s guidelines on which animals should breed. Here at the Dallas Zoo, we follow the guidelines established by the Association of Zoos & Aquariums (AZA), including the many Species Survival Plans that build self-sustaining populations of specific species, ensuring those animals remain on earth. Myth No. 8: Zookeepers eventually get tired of the job and leave. Truth: The turnover rate for zookeepers is exceptionally low. Keepers are likely to stay in their chosen profession for the rest of their life. They’re a passionate bunch and love the work they do, despite how difficult it can be with education, cleaning, training, feeding and providing medical care. They love our animals so much that no words can truly describe that kind of affection. 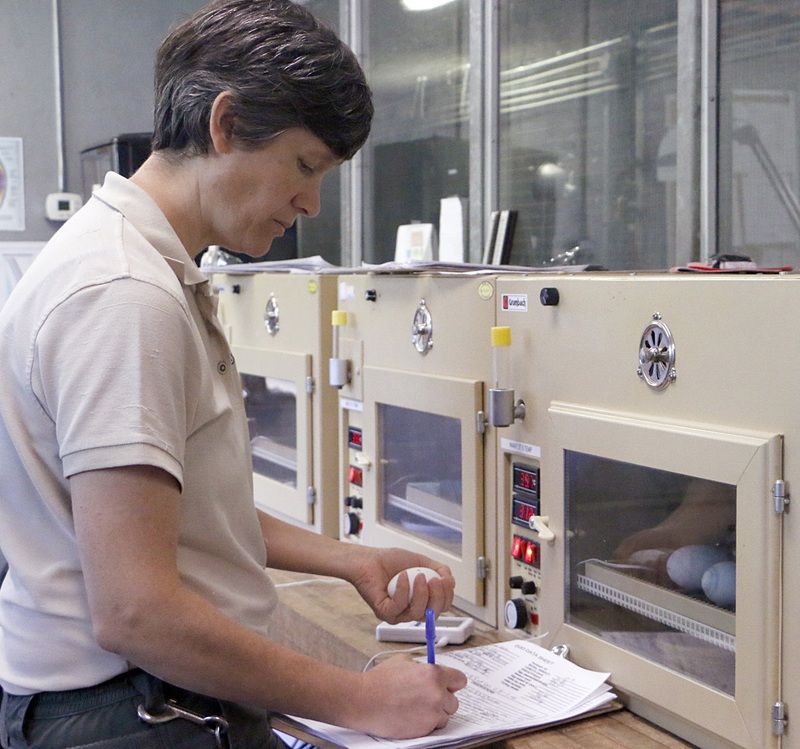 We hope these insights help you understand just what makes zookeepers so special. We’re very thankful for our team and all of the hard work they do for our residents at the Dallas Zoo! I am so thankful for the many hard working zookeepers! I took junior zoology classes at the St. Louis Zoo (I am originally from there) from ages 4 to 14. All animals are very special to me. I think it is a blessing to be able to help them. I hope to some day be able to volunteer at the zoo when I am retired and have the time. I keep the Zoo, its keepers and all the animals in my prayers! Zookeepers are definitely unsung heroes. There is so much responsibility of the animals’ health and well-being on their shoulders, yet, when they are in front of the public, educating us, they convey the love and pride they have in their jobs. I think back to the stories about the zoo and aquarium in New Orleans, when Hurricane Katrina hit. They, along with police and other public servants, stayed behind to ensure the safety of their family of zoo animals. Wow. I send hugs to all of the staff of the Dallas Zoo. For all that dedication and education, please pay them more. Most of the keepers I know, and I have one in the family, have to have a 2nd job to pay their bills. That is really sad. Zookeeping sounds like the most amazing job ever, although you do have to work harder at it than most jobs, it seems worth it to be able to see the animals thrive in their environments. I would like to continue to receive this blog! Every zoo keeper I know is awesome, intelligent and compassionate.